Ring mistress and compere Annabelle Holland is the only female knife thrower in the UK. 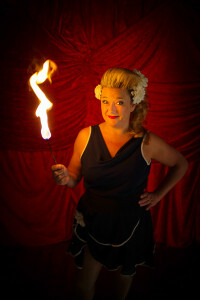 She is raring to add more glitz to your event or cabaret. 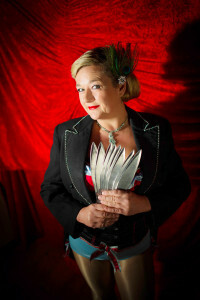 Likened to Joan Simms from Carry on fame Annabelle is warm hearted, cheeky and dagger sharp with her wit. No one is safe! She’s not afraid to break down the barriers between stage and audience and has been know to throw knives at men picked from the crowd! Flexible, funny and with a host of skills including fire eating, knife throwing and lasso in her unique style she can host cabaret, corporate, burlesque and family events. She also has great hair! You will be left wanting more. 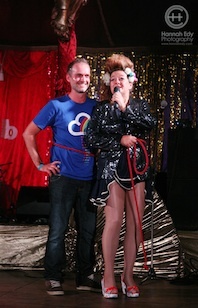 If you are looking for an act as well as MC she can also perform a 10 – 15 min cabaret act. 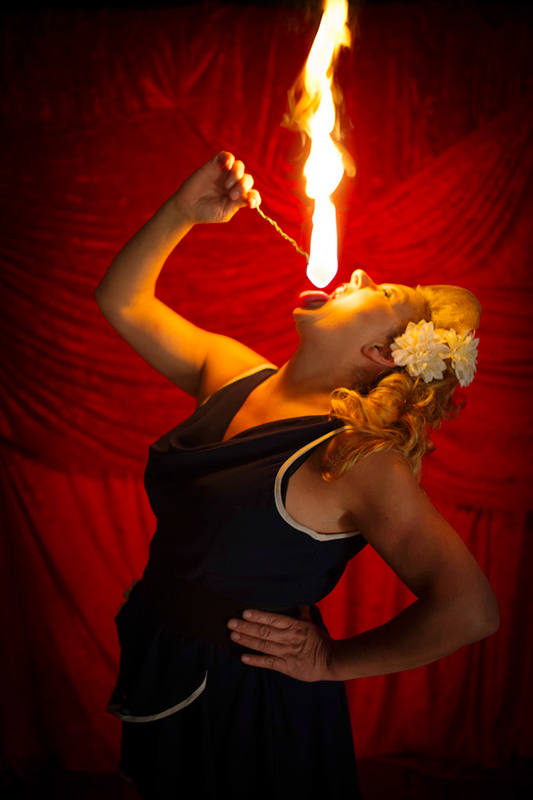 She can fire eat, lasso men from the audience and throw knives. “Annabelle’s creations are a consistent hit with our audiences. 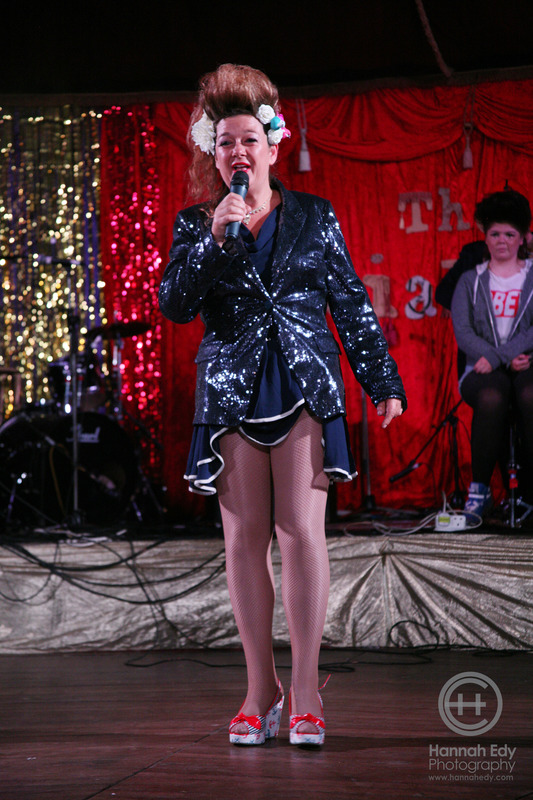 Annabelle has been compere for the Spiegletent at Brighton Fringe, at Edinburgh Fringe, hosted The Grand Palace of Entertainments at Bestival hosted Interstella Cabaret and wowed an audience of 800 at the Hilton Park Lane Ballroom amongst others. She’s hosted cabaret, fancy dress competitions, Talent Shows, Pancake Races and counted in the New Year at top Bristol venue, The Tobacco Factory. She is equally at home in adult late night surroundings as she is with a family audience. She also has great hair!